Miss Wood became an exacting math teacher and a pioneering administrator. Barely two years after she became the first African-American principal in the Boston Public Schools, Gladys Wood turned down an offer to leave Dearborn Elementary in Roxbury and lead a junior high school instead. She didn’t want to go when there were still too many problems to fix. At Dearborn, remedial reading teachers worked in the backs of rooms where other classes were meeting until Miss Wood cleaned a basement area herself to create an additional de facto classroom. Counselors for emotionally disturbed children met with pupils in corridors. And the boys’ bathrooms were among “the most degrading facilities I’ve ever seen in my life,” she told the Globe in July 1968. Though she knew there might be consequences, she was unafraid to raise her voice on behalf of her children, her staff, and her school. A descendant of slaves who became an exacting math teacher and a pioneering black administrator, Miss Wood died in her sleep Aug. 3 in Beth Israel Deaconess Hospital-Milton. She was 101 and formerly had lived in Dorchester, Milton, and Quincy. Most of her career unfolded during the decades when limited resources were allocated to schools in Boston’s minority neighborhoods. Miss Wood, as she was always known to her students, was a strong advocate for more funding and better teachers, even when she couldn’t persuade higher-up administrators to take action. Born in her family’s Roxbury home, Gladys S. Wood was the third of 13 children. She was one of 11 sisters, and among her younger siblings were four consecutive sets of twins — three fraternal and one identical. Their father, Samuel Clarence Wood Sr., worked as a porter, a carpenter, and a lumber surveyor. Their mother, the former Gertrude Ella Boyd, was from Alabama. She graduated from Fisk University in Nashville in 1905 and taught at the Cotton Valley School in Alabama before marrying and moving to Greater Boston. One of Miss Wood’s ancestors, Eliza Cloud Boyd, was born into slavery in South Carolina and lived past 100, long enough to be freed after the Civil War and to become a landowner, even though she never learned to read or write. Miss Wood, who was born on May 16, 1916, settled on using Sara as a middle name, though early references in family Bibles listed her middle name as Samuel, and her baptismal record called her Gladys Sammie Wood. 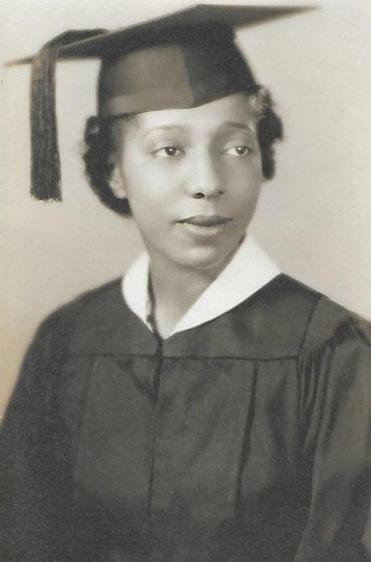 She graduated in 1937 with a bachelor’s degree from what was then the Teachers College of the City of Boston, a precursor to Boston State College. She received a master’s in education from the school in 1951. In Boston, Miss Wood became a vice principal in 1957 and was appointed the city’s first black principal in July 1966. As principal, she oversaw the Dearborn Elementary district in Roxbury, which included about 1,500 children. She later was the principal of schools in Mattapan and Hyde Park, and served as assistant director of the school system’s teacher placement department. In 1966, the National Conference of Christians and Jews honored Miss Wood for her “outstanding service to the ideals of brotherhood,” and two years later she was presented with the Frederick A. Douglass Achievement Award. Even though her role in Boston’s schools was groundbreaking, “she really didn’t make a big deal out of it most of her life,” said Pamela Richardson of Hyde Park, another of Miss Wood’s nieces. Miss Wood wrote the obituary information for her family to submit, and didn’t mention until the third paragraph that she was the city’s first black principal. Miss Wood never married and lived for many years with two of her sisters. “What made her special was how smart she was,” said her niece Leslye, who added that “she was always striking and a bit of a clothes horse” — often dividing her shopping between Filene’s Basement and a Chestnut Hill shop where she found designer dresses. A service will be announced for Miss Wood, who in addition to her nieces and extended family leaves two sisters, Hilda Smith of Dorchester and Corrine Lewis of North Highlands, Calif.
As part of her master’s degree requirements, Miss Wood wrote “Nutrition And Its Relationship To The Noonday Lunch Of The Growing Child,” a thesis that focused on the homeroom lunch period. Submitted in 1951, it ran for 141 pages, all elegantly handwritten. About two dozen pages in, Miss Wood talked about how nutrition could help instill the kind of fortitude she herself would later exhibit when she advocated for her charges upon becoming an administrator.